Toronto Dogs Directory: Should You Buy Your Pet's Medications Online? 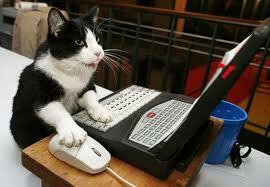 Should You Buy Your Pet's Medications Online? In Canada, an increasing number of pet owners are using the internet to purchase their pet’s medication. While buying Fido’s heartworm medication online may save you money, Health and Safety Watch cautions that it could cost you much more in the long run. A number of web sites advertise that they will provide owners with animal drugs – no prescription required. However, many of these sites are not approved by governing bodies and owners could end up with counterfeit or expired drugs. Veterinary experts remind us that it is important that our pets visit the vet regularly and obtain prescriptions to ensure they are receiving the correct medication. So throw Fido a bone and always ensure you do your research before purchasing animal drugs online.